Home » Posts tagged "MS-13"
In a new fusion of irrational hatreds, American “militia movement” members are now rushing with all their guns to the U.S. border to fend off a flood of unaccompanied young children from Central America, whom they believe to be members of MS-13. In addition to the orchestrated hate rallies in Murrieta CA capturing national headlines as screaming fanatics force U.S. government buses full of the undocumented children to divert, a militia leader has called for members “To Go Armed” to the border in Texas. A spokeswoman for the group, Denice Freeman, told the Brownsville Herald the operation is a call for civilian militia members to guard private property in Laredo and other parts of Texas where owners feel threatened by “drug cartels and from gangs, particularly MS-13 gangs,” referring to a Salvadoran street gang with Los Angeles roots that now has a presence in 46 states. Interesting. 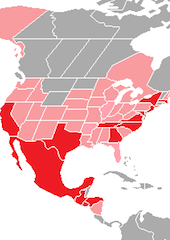 What’s the typical profile of the recent wave of undocumented Central American immigrants? Questioned by the agents, a boy from Honduras said his name was Alejandro and that he was 8 years old. “Who are you with?” asked Raul L. Ortiz, deputy chief of the Border Patrol for the Rio Grande Valley, speaking in Spanish. “By myself,” Alejandro said, looking up at the man in the olive uniform and pulling a birth certificate, carefully folded, from his jeans — the only item he carried. “Where are your parents, Alex?” Chief Ortiz asked, using a nickname to put the boy at ease. “In San Antonio,” he said. Look at these manly men playing dress up bringing assault weapons to fend off unaccompanied Central American children because MS-13. 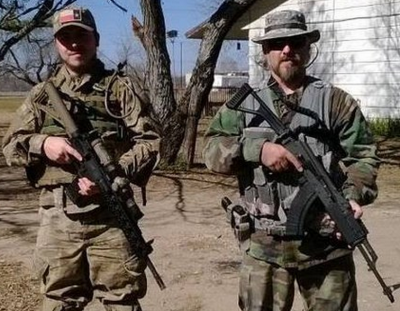 But in a YouTube video posted June 14, a man who identified himself as commander Chris Davis said militia members “need to go armed” and incited them to “start the next 1776 right there on the border” if they are confronted by local law enforcement and federal agents. I believe this loophole of threatening lethal force while avoiding violence is known as the “Some People Aren’t People Doctrine.” Not violence if you believe the people you shot aren’t human. It’s very convenient for white supremacy. It’s also a demonstration that they have no understanding of why most of the current wave of immigrants has been fleeing to the United States. Hint: they’re not trying to join MS-13 here; they’re trying to escape MS-13, which we exported there. Many gang members living in the United States have been deported back to El Salvador, Honduras and Guatemala. To Americans, that may look like a problem solved. In reality though, it only adds to the already serious social problems in those countries. The returning gang members bring back with them crack cocaine. Predictably, drug-related crimes are soon on a steep increase. Those gang members deported from the United States enlarge the local groups and find easy recruits among the local disenfranchised youth. Today, most of the members are in their twenties, while their leaders are in the late 30s and 40s. The gangs’ battles with the police for control of working-class neighborhoods involve in each case heavy-handed tactics by the police. They also prove unproductive, since they unleash more random violence and terror. Another short-sighted U.S. policy comes home to roost and the militia crowd decides to blame the desperate, foreign, ethnic minorities instead — as usual, but this time the targets are under 10 years old. Oh and: Good plan about giving one single warning in English to Spanish-speaking children before you shoot them in the head.